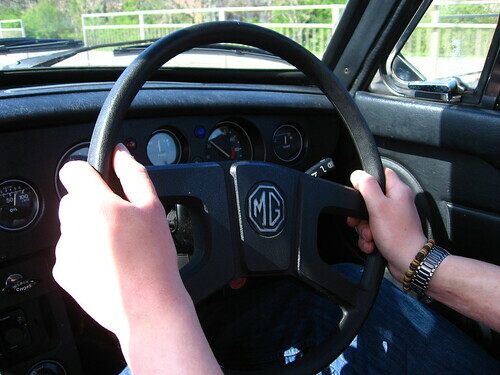 We took the MG out for it's first 'proper' drive out, a trip out for lunch to Barnard Castle in Teesdale. Turned out to be a very nice afternoon, though having parked in a sloping parking space on the main street's cobbles, I was a little worried about the handbrake holding. It had never really been tested against the weight of the car like that, but it was fine. Best part of the drive was the wave from the driver of a white MG Midget on the way there - my first MG 'salute' - which I duly returned!